Everything your attendees need is available upon arrival when you meet in Greater Palm Springs. Swipe or click through to see! Your perfect meeting starts in Greater Palm Springs. 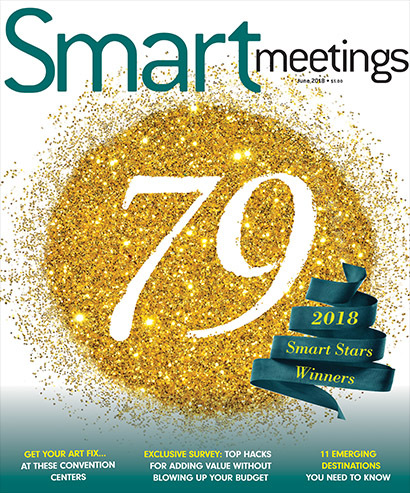 With easy access via Palm Springs International Airport, incredible outdoor venues, unique group activities and year-round sunshine, this modern meeting oasis offers everything you need to plan an unforgettable event for your attendees. While each of Greater Palm Springs’ nine communities has a distinctive personality, they are all linked by natural beauty and authentic experiences that energize. The natural assets adorning Coachella Valley’s great outdoors elevate Greater Palm Springs events by breaking away from the stereotypical mold. Imagine the merging of fresh air, sunshine, blue skies and dramatic mountain backdrops to spark creative thinking, bold concepts and mental rejuvenation. More Flights, More Often to PSP. Nonstop Success. 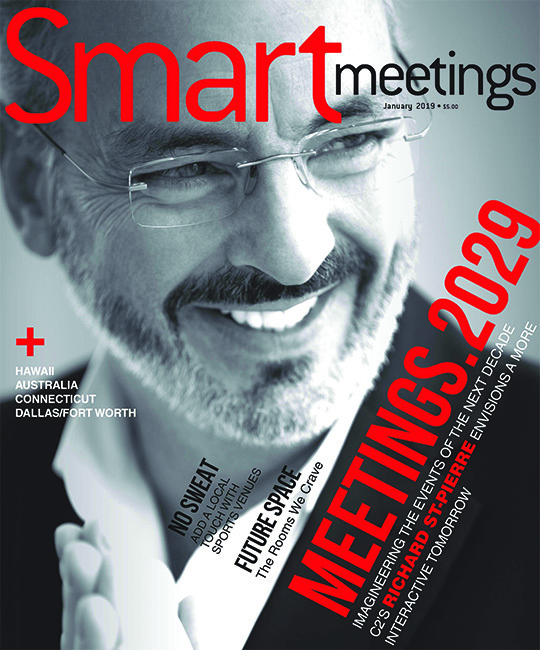 Planning a meeting or conference in Greater Palm Springs just became easier than ever. Thanks to increased air flight options with exciting new airlines servicing Palm Springs International Airport (PSP) and new nonstop destinations, as well as increased service and longer periods of service, your meeting attendees have so many options. 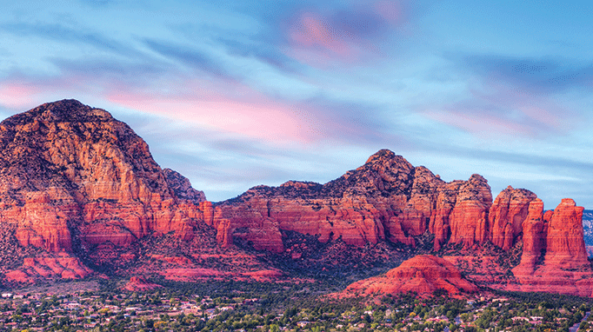 To meet the ever-increasing demands of the business traveler to Greater Palm Springs, PSP now offers 11 airlines flying nonstop from 21 destinations to PSP and connecting to more than 500 destinations across the nation and worldwide. 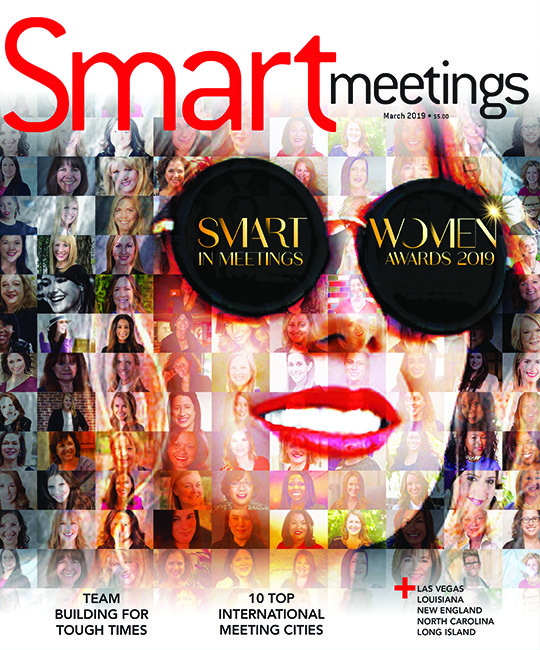 Palm Springs International Airport was named one of the “Top 10 Most Stress-Free Airports in America” by SmarterTravel.com. Traveling through Palm Springs International Airport sets the tone for your productive meeting in Greater Palm Springs. 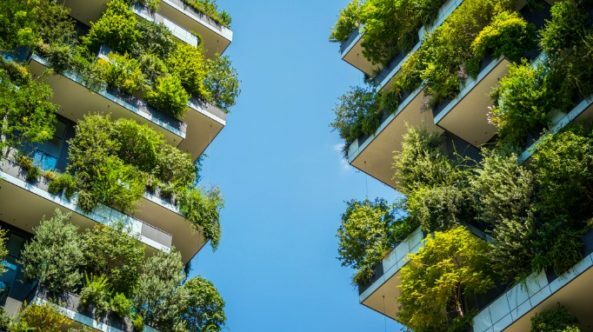 Passengers exchange the long lines and wait times at most airports for a relaxing open-air stroll along outdoor walkways and lushly landscaped courtyards, arriving at their meeting destination fresh and relaxed. No stress and no lines equal productivity. 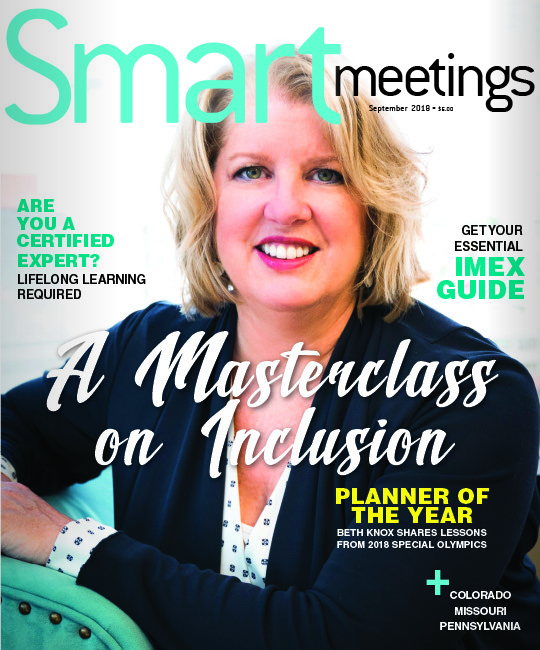 Meeting planners who are able to be flexible will discover that by meting Sunday through Thursday, attendees will enjoy all of the benefits of higher priced weekend stays. Attendees will also enjoy the added bonus of more accessibility and less crowds for all they want to do, from shopping and golf to dining and tours. With the Midweek Meetings promotion, the Greater Palm Springs Convention Sales team can help you find the right space at the right price. 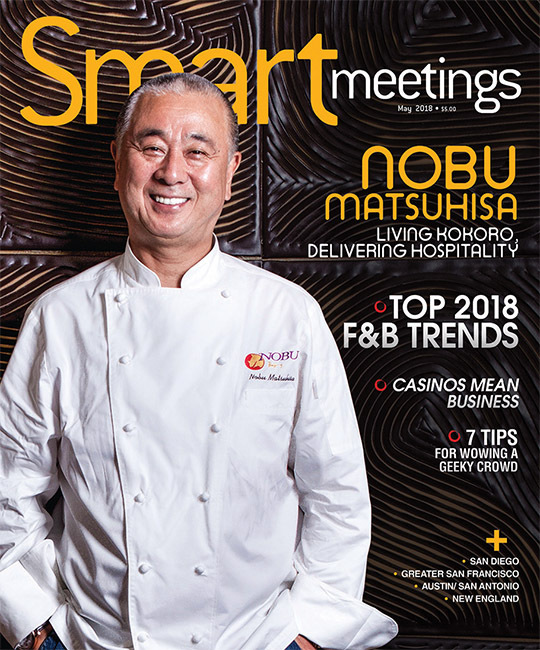 All rates are supplied individually by hotel partners and offers vary from season to season, but planners can realize savings of up to $100 per room and receive discounts on meeting space and catering. Some properties even offer reduced rates on extras such as audio visual and even spa treatments. 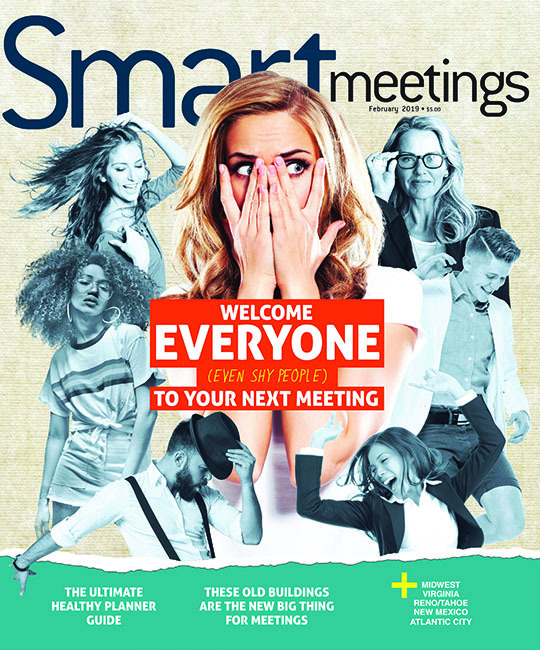 Meetings contained in four walls are nearly obsolete in Greater Palm Springs. With inspiring outdoor venues ranging from sparkling poolside break-outs to board meetings under stately palms, the oasis maximizes outdoor time while energizing participants. 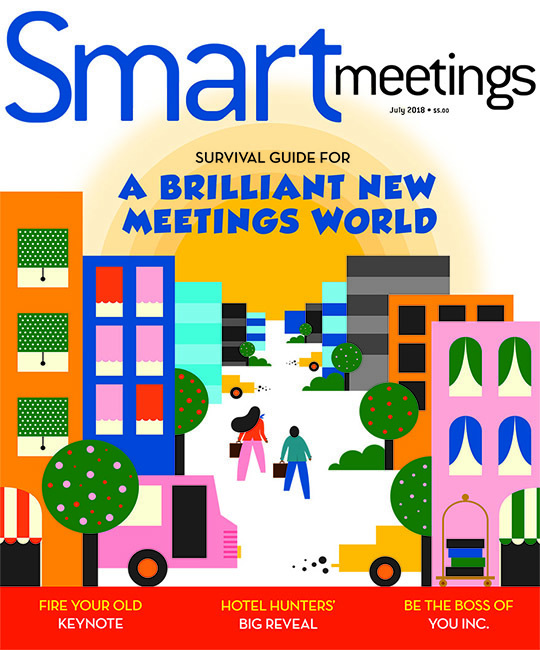 Breaks are also perfectly designed to enhance your oasis meeting rather than distract from it. 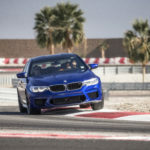 Take an adrenaline-fueled lap around the race track at the BMW Performance Center West; conquer the San Andreas Fault by jeep; or play a round of foot golf. In Greater Palm Springs, it is not only possible to balance a busy agenda with mental recharging, it’s a guarantee. The choices are as endless as the sunshine. 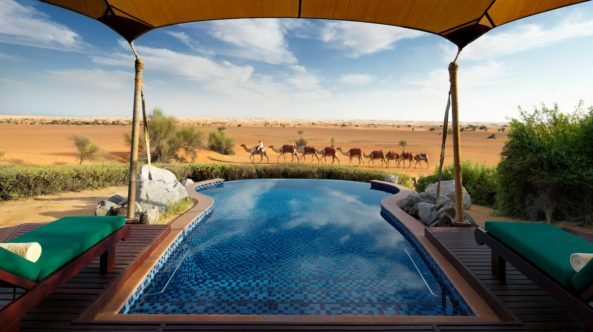 While the oasis offers plenty of impressive offsite options, they’re also privy to innovative and truly unforgettable al fresco venues at hotel and resort doorsteps. Think seasonal concerts beneath the stars at Spa Resort Casino in downtown Palm Springs, water park thrills at Omni Rancho Las Palmas Resort & Spa in Rancho Mirage and trifecta of gazebos, mud cabanas and Watsu pools at Two Bunch Palms in Desert Hot Springs. When Dr. Steven R. Gundry dedicated his career to changing human health through food, supplements and lifestyle choices, he found no finer place to share his wellness perspective than Greater Palm Springs. 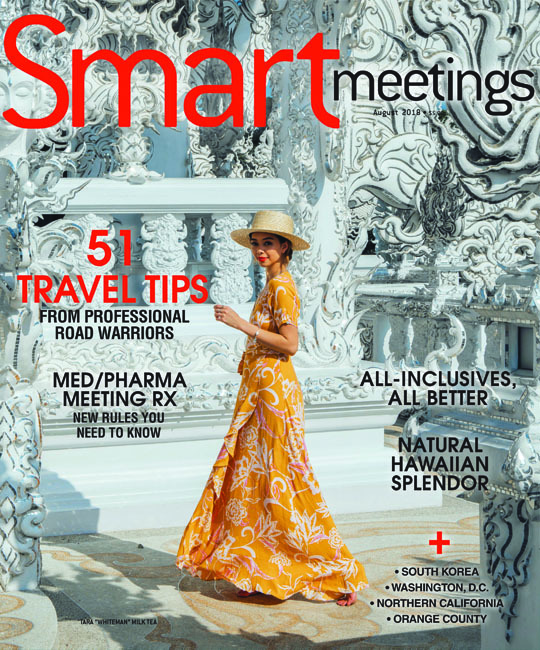 “No matter what reason a visitor comes to Greater Palm Springs—be it for a conference, for business or just a quick weekend getaway—you will catch the energy, the joy of life and the feeling that permeates the people, and witness the power of this place to transform,” says the author of New York Times bestseller The Plant Paradox. 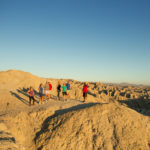 As attendees grow more mindful of both physical and mental wellness, meeting planners are sizing up the Coachella Valley as a natural choice for balancing healthy fare with restorative experiences. Aside from accommodating those with food allergies, gluten-free restrictions and vegan/vegetarian diet preferences, planners can ignite mental clarity via “brain food” menus and nutritious options amok thanks to the flourishing valley’s 300-day growing season. Groups are privy to exercise and creative expression that encompasses formats from breathing exercises and stretching classes to creating scrubs infused with herbs plucked from onsite gardens. In Greater Palm Springs, planners are encouraged to think outside the box for inspiring ways to be outside the box. Abundant sunshine, glorious blue skies and dramatic scenery beckon business beyond the confines of a four-wall environment. There’s even an app for that! Let’s Roam is a mobile app that curates scavenger hunts in more than 350 cities, including an almost 3-mile path through Palm Springs. Groups can participate in this self-guided team-building exercise. Along the journey, the app prompts participants to complete tasks, such as photo challenges, and answer multiple choice questions to learn fun facts and history. 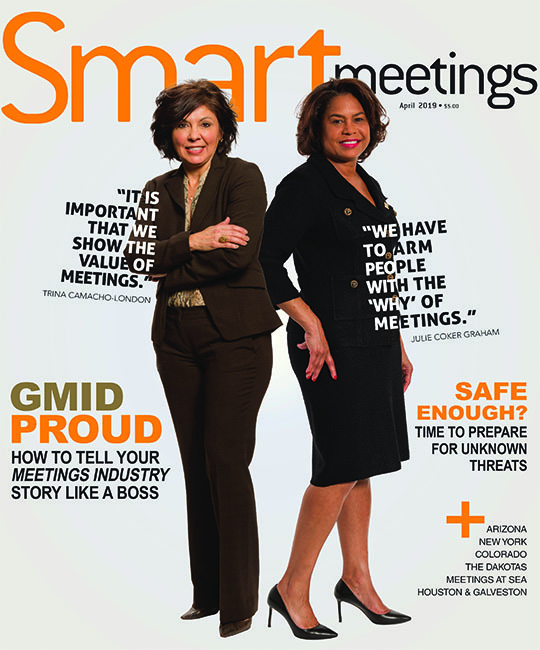 Meeting professionals can create custom questions relevant to their conference’s mission. Let’s Roam says many of its corporate clientele end hunts with a happy hour. The final clue leads everyone to the secret location for a libation. One possible prompt could be, “Find a Barbie and let’s go party!” This would lead everyone to The Saguaro Palm Springs, where the lobby has a colorful display of Barbie dolls. The Desert Sun’s Best of the Valley gave the margarita at El Jefe, its bar, a top rating. The property boasts 244 guest rooms and more than 19,000 sq. ft. of indoor/outdoor meeting space, including the new 1,175-square-foot terrace adjacent to Sago Ballroom. Another option could be, “What’s spiked, yet sweet?” The correct answer is a prickly pear cocktail. It can be found at Eight4Nine Restaurant & Lounge, in the former Palm Springs post office branch. Three private dining rooms that seat 14 to 50 guests, an outdoor patio or complete buyout for up to 300 people are available. Lulu California Bistro, Moxie Palm Springs, Paul Bar/Food and Revel Public House are also happy hour hotspots. What makes scavenger hunts psychologically intriguing is seeing how individual people and teams interpret and execute identical tasks. The entire exercise can be relived via a slideshow or turned into a competition with prizes. If you’d prefer to design your own trail, reach out to Visit Palm Springs or Greater Palm Springs Convention & Visitors Bureau (GPSCVB) for ideas. Here are some suggestions for clues, questions and tasks to include on your list of things to seek. You could create an entire Palm Springs scavenger hunt based on looking for all the vibrantly colored doors. One of the most popular is Instagram-famous #thatpinkdoor. Current residents kindly ask looky-loos to refrain from trespassing and snapping, so leave this off the itinerary. 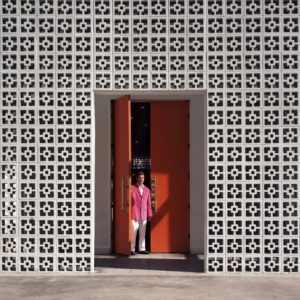 Instead, point hunters to a large orange door at Parker Palm Springs. This upscale hotel is a favorite among the Hollywood crowd. It has more than 10,000 sq. 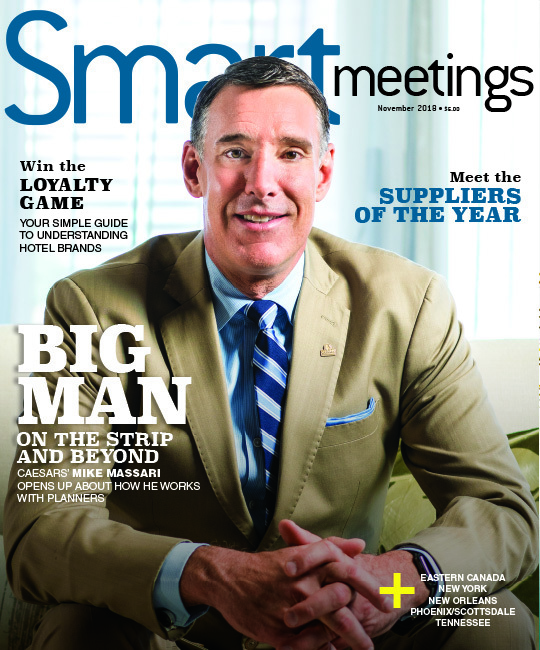 ft. of meeting space, 144 guest rooms, two red clay tennis courts and Palm Springs Yacht Club (PSYC) spa. Scavenger hunt curators commonly plant a costumed character on the route. In this case, hire a celebrity impersonator to walk the streets. You might even be lucky enough to spot an actual celebrity, as this is a popular getaway for the glitterati. Participants can also find stars at their feet. Walk of Stars Palm Springs, overseen by Palm Springs Chamber of Commerce, contains more than 400 stars similar to those found on Hollywood Blvd. in Los Angeles. The City of Rancho Mirage Observatory opened March 25. The telescope is powerful enough to see a distance of more than 50 million light-years. No, not that kind of date. Date shakes, a type of smoothie, are very popular in Palm Springs. They consist of medjool dates, whole milk and vanilla bean gelato. Ace Hotel & Swim Club is one of many places where date shakes can be found. The hotel has 179 guest rooms and 5,500 sq. ft. of meeting space. The 19,670-square-foot grand ballroom inside Riviera Palm Springs boasts beautiful crystal chandeliers and a built-in stage. Local artwork can be seen throughout the property. Some of the hanging portraits are made of dimes arranged in such a way, that from a distance, they appear to be a person’s face. There are 398 guest rooms and 45,000 sq. ft. of indoor/outdoor event space. Hitch a ride with Desert Adventures on one of its red Jeep tours to the ancestral home of the Agua Caliente Band of Cahuilla Indians in the Palm Springs Indian Canyons. A short nature walk brings guests to a hidden cave with a waterfall. A half hour outside of Downtown Palm Springs, Desert Adventures owns Metate Ranch on the San Andreas Fault. Here, groups can enjoy Jeep tours, team-building activities and receptions at one of several private event spaces in the Indio Hills. The Enchanted Desert, located on two levels, is beautifully lit at night with washes of colors on the hillside. A water feature, sculptures and firepit ring a replica Indian Village that includes a ceremonial house, huts, three pools and displays of food, weapons and tools used by the Cahuilla Indians. 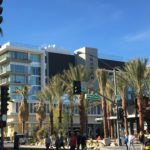 The seven-story Kimpton The Rowan Palm Springs Hotel, which opened in November 2017, is the tallest building in downtown Palm Springs. It features the only rooftop pool in town. It’s home to 4 Saints restaurant, 153 guest rooms and more than 16,000 sq. ft. of meeting space. The Rowan is also the only large, full-service hotel in Palm Springs to receive a AAA Four Diamond rating. Curly-haired child actress Shirley Temple frequented Palm Springs and even had a bungalow named after her at the former Desert Inn. Learn about the inn’s history on tours provided by Palm Springs Historical Society. Not all lollipops come with the risk of cavities! 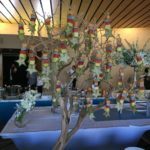 Fruit lollipop trees are one of the creative menu offerings by Savoury’s Full Service Catering and Food Service Management Company at Palm Springs Convention Center. The convention center has 120,000 sq. 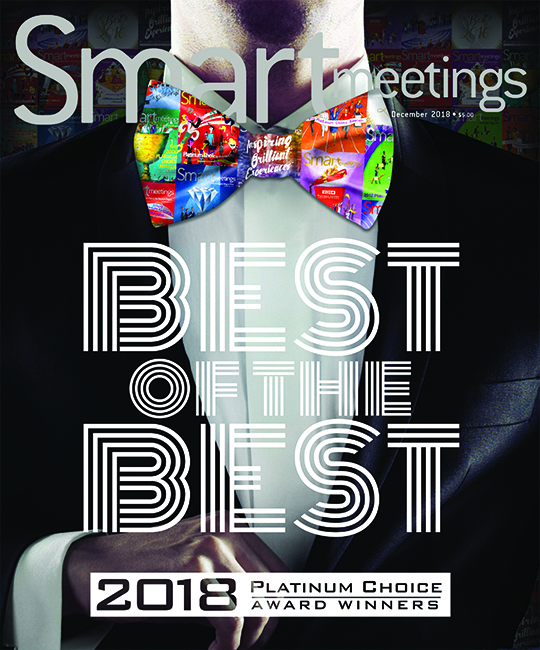 ft. of exhibit space, 21 breakout rooms, a 20,000-square-foot ballroom, an 18,000-square foot lobby with mountain views and a 20,000- square-foot event lawn. Elena Bulatova Fine Art Gallery has oversized lollipop sculptures on display at its 2,000-square-foot Palm Springs shop. The 3,000-square-foot outdoor art garden will reopen soon as an ideal venue for an ice cream social paired with candy-flavored cocktails. The 5,000-square-foot Palm Desert location can be rented for private functions as well. Groups can learn about renewable energy on Palm Springs Windmill Tours to a farm of working and retired turbines. 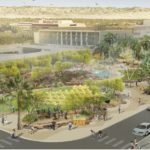 On the former site of Desert Inn, Downtown Park will open in 2020 as a new community gathering place. Visitors will be able to snap a shot underneath Marilyn Monroe’s windblown white dress when the 26-foot-tall “Forever Marilyn” statue is put on display there. Flying in and out of Palm Springs for meetings is becoming easier than ever with growing accessibility between Palm Springs International Airport (PSP) and major cities, including upcoming nonstop JetBlue service from Boston and expanded service to New York City. 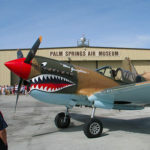 Palm Springs Air Museum, located just behind and adjacent to the airport, is a planner’s answer to a request for a unique venue. Flyable aircraft from World War II, plus the Korean and Vietnam Wars, are on display in an 86,000-square-foot hangar. Treat VIPs to a ride in a vintage Warbird C-47 Skytrain or P-51D Mustang. Intimate dinners to large receptions with thousands of guests can be hosted there. Suggested themes include a USO show, M*A*S*H or South Pacific. Be on the lookout for real roadrunners—not the Looney Tunes cartoon character. One place you can find people living life in the fast lane is at BMW Performance Center West in nearby Thermal. Groups can put the pedal to the metal in BMWs and MINIs on the test track with a professional instructor. On-site catering and 2,575 sq. ft. of conference space is available. Which former Palm Springs resident was known for his blue eyes? Frank Sinatra, of course! After answering correctly, participants can visit his former residence in the Movie Colony. Twin Palms Frank Sinatra Estate can be toured and reserved for up to 150 guests. 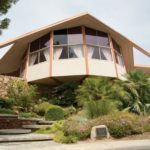 Elvis Honeymoon Hideaway was home to Elvis and Priscilla Presley from 1966 to 1967, and the couple honeymooned here. The mid-century modern house is also known as The Alexander Estate and The House of Tomorrow. Docent-led tours are available of the circular home and it can be rented for private events. A raised platform in the dining area can be used for presentations or performances while guests are seated on a 65-foot-long couch. Outdoors, 180 guests can fit around the pool, and planners are welcome to tent the tennis court. Celebrate midcentury architecture in Palm Springs during Modernism Week from Feb. 14 to 24, 2019. Instagram walls are all the rage. Groups can share their trip with followers by posing in front of a giant mural with “Palm Springs” painted on it. It’s located at the entrance to Hyatt Palm Springs, which has 12,000 sq. ft. of meeting space and 197 guest rooms. Why are flamingos rose-colored? The answer to this clue question is that Flamingos get pink pigmentation from their diet of carotenoid-filled algae, larvae and brine shrimp. 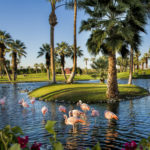 A flock of 30 flamingos reside at JW Marriott Desert Springs Resort & Spa’s Flamingo Island. Private events can be held on the front lawn with views of the colorful birds. The 450-acre Palm Desert resort will complete a lobby and 884 guest room renovation in 2019. 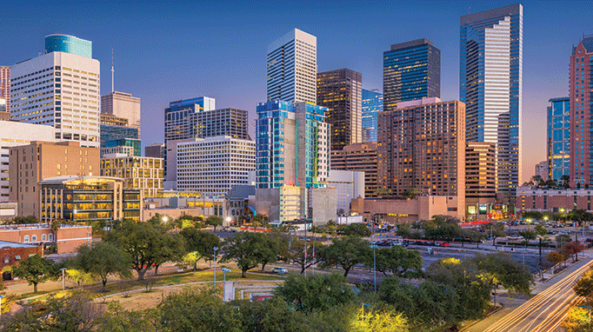 It is home to more than 234,000 sq. ft. of meeting space, two championship golf courses and tennis courts. Many business transactions are made on the green, so attendees looking to close deals are in luck because Greater Palm Springs boasts more than 100 golf courses. Dealing of a different sort goes on at Spa Resort Casino for visitors wanting to try their luck in a card game. 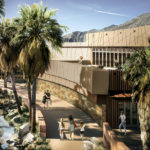 The tribe that owns the casino will open Cultural Center for the Agua Caliente Band of Cahuilla Indians Tribe in 2020. It’ll feature a museum, spa, gardens, trail and gathering places. 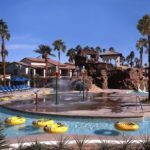 Get wet in the dry heat at Omni Rancho Las Palmas Resort & Spa’s Splashtopia waterpark, which features a 42-foot-long lazy river, waterslides and cliff-side jacuzzi. The Rancho Mirage property also has 444 recently renovated guest rooms, 84,000 sq. ft. of meeting and event space, a 27-hole golf course, 25 tennis courts, 20,000 square-foot spa, fitness center and five restaurants. It’s tee time after sunset at Indian Wells Golf Resort. In partnership with NextLinks, Shots in the Night laser golf and glow-in-the-dark driving range made its debut October 18. 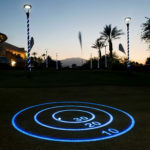 Inflatable LED bowling pins and beach balls are placed on the range as targets and they blink when hit by a ball. Several team-building games are available. A food truck and bar are provided. More than 35,000 sq. ft. of indoor/outdoor event space and 215 guest rooms are located within walking distance from the course at Miramonte Indian Wells Resort & Spa, Curio Collection by Hilton. 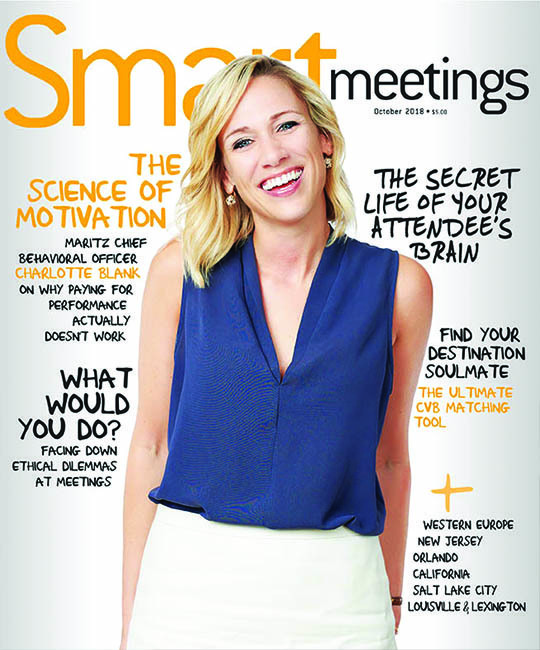 Brighten anyone’s day by holding a meeting at Renaissance Palm Springs Hotel. Upon entering the lobby, guests are greeted by a light-up floor. Planners can select from nine colors to light the runway for their event. The hotel has 410 guest rooms and 30,000 sq. ft. of indoor meeting space. The brand has another location in the region, Renaissance Indian Wells Resort & Spa, which has 213,439 sq. ft. of meeting space and will complete room renovations in 2019. It won’t be difficult to fetch a pic of a dog on a Palm Springs scavenger hunt. At the pet-friendly La Quinta Resort & Club, A Waldorf Astoria Resort, guests can get a couples’ massage alongside their furry friend as part of PAWS La Quinta Pet Experience. The 45-acre resort has 701 guest rooms, 190,000 sq. ft. of indoor/outdoor event space, five championship golf courses, tennis courts, a spa, a salon, seven restaurants and 41 pools. An adoptable puppy looking for its forever home can be found in the lobby of The Westin Mission Hills Golf Resort & Spa in Rancho Mirage. In partnership with Animal Samaritans, the hotel has matched more than 100 dogs with loving families. Hotel guests can sign up to walk and play with the featured pup. Doggie guests will enjoy sleeping on dog beds provided by the hotel and joining their humans for a meal at Pinzimini, which features a Patio Pooch Menu. In addition to a side-by-side massage with Fido, people can enjoy a hole-in-one golf massage at the spa that incorporates golf balls. The resort has 512 guest rooms, 115,000 sq. ft. of meeting space, three pools, seven lit tennis courts, golf clinics and “Grooves” jazz concert series. Perched atop a 650-foot bluff, The Ritz-Carlton, Rancho Mirage provides a unique perspective of the Coachella Valley down below. The views from the cliffside The Edge Steakhouse will take your guests’ breaths away. Planners can book the Chef’s Table for 12 or buy out the restaurant. 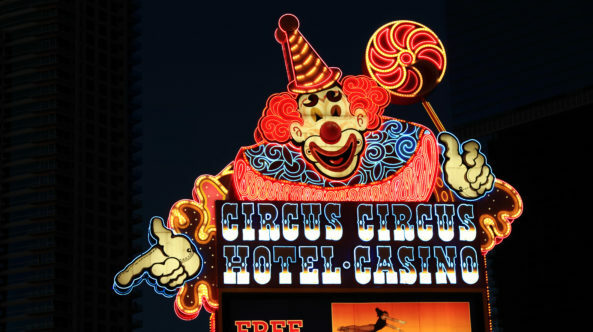 The hotel has 260 guest rooms, approximately 16,000 sq. ft. of indoor meeting space and 22,000 sq. ft. outdoors. Meeting-goers can also put their comfort of heights to the test on Palm Springs Aerial Tramway. 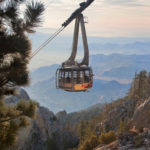 Surrounded by Mount San Jacinto State Park and Wilderness Area, gondolas take riders to an elevation of 8,516 feet. At the top, three private event spaces range in size to accommodate between 24 to 275 guests. Group Ride ‘n’ Dine packages are also available for visitors to chow down on a cafeteria-style lunch or dinner. There’s more than one suitable answer for this clue. Construction zones abound in Greater Palm Springs because new hotels are being built all over the region. Here’s an overview of estimated opening dates.